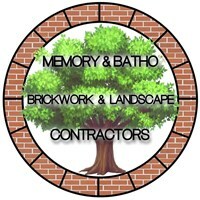 Welcome to Memory & Batho Brickwork & Landscape Contractors. We are a local family run business. We cover all aspects of landscaping and gardening, see your ideas grow from start to finish. Renew your old worn out plot with our creative professional team! You can rely on us to make an idea reality and offer a wealth of ideas to improve your home or garden. We pride ourselves on reputation so a good job is paramount.